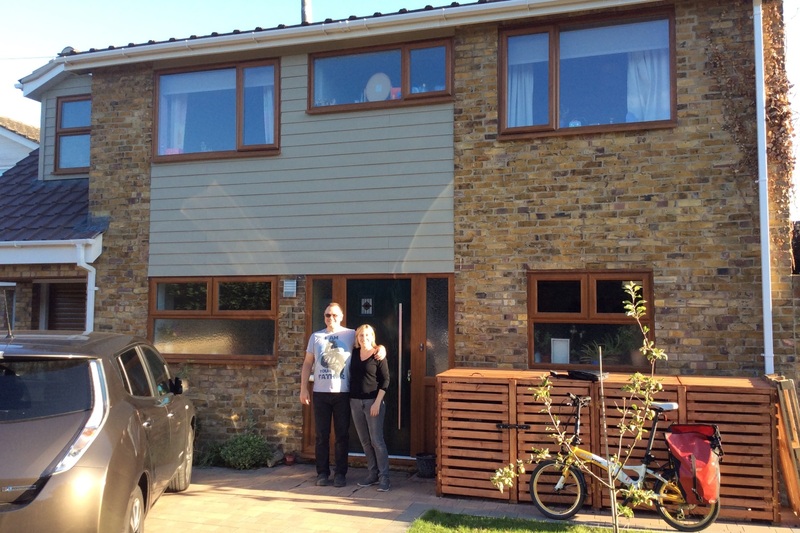 Hosts Shaun and Fran were determined to improve their problematic 1960s house for family wellbeing and health as well as for comfort and environmental reasons. The whole renovation project has taken several years and been completed in stages, part DIY and partly with contractors. The entire house was addressed. Internal walls and floors were removed and rebuilt. This has made a huge difference. The house is now 86% efficient, which is about as good as it gets for a 1960’s property. Gas usage has been almost zero since the installation of the solar hot water system. A reading increase of 1.5KWh taken on the gas meter between May and mid-August 2017 suggests the cost of gas consumption has been about 6p, compared to a local average of £59 over the same period. Heating demand is very low. Heat from cooking now heats the entire house. The mechanical ventilation and heat recovery (MVHR) unit extracts the waste heat and distributes it as warm air around the house. The MVHR also takes away excess moisture, pollen and dust, as well as ensuring a regulated supply of fresh air, which makes the house very healthy.